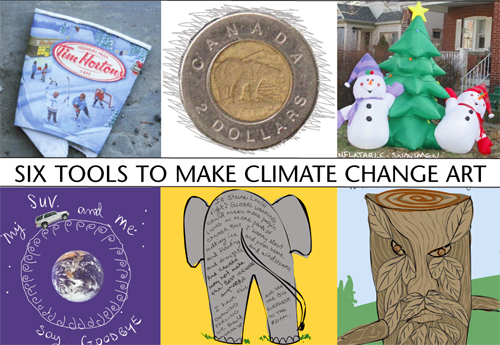 The Ontario Teacher’s Federation “Climate Change Camp” at McMaster University has resulted in Sparking Your Green Conscience being integrated into a lesson plan for Ontario teachers. 2010: What Powerful Tool Can We Use to Fight Climate Change? 2009: University of Cincinnati Art Workshops: What’s bothering your green conscience? 2009: Sparking Your Green Conscience: How to use the green conscience workshops in schools (for Ontario Teachers Federation). 2009: Goldsmith College student interviews Franke James: Q&A: Why make climate change art?